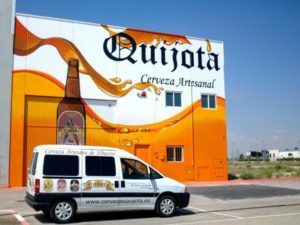 The Quijota Craft Beer plant occupies an industrial warehouse of 400 m2, located in the North area of the Campollano Business Park in Albacete. Ample parking area is available, and it is barely 4 km from downtown. 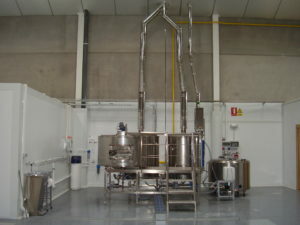 A BREWGOLD 500 V2.0 equipment is used for brewing, designed and manufactured in Orense. It allows the preparation of approximately 500 L of must using either English style (single infusion) or German method (step infusion). We are able to produce over 100,000 L of beer annually using this machinery and best-quality natural products. 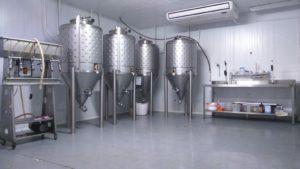 Fermentation chamber: All the process takes place in this room, the primary fermentation in the stainless-steel fermenters and the secondary fermentation in the bottle. This chamber is cooled, and the temperature is constant at 18-21°C. 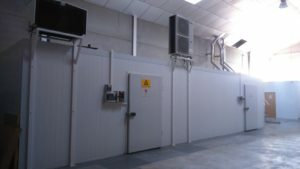 This is a cleanroom, and bottling and sealing are also carried out here. 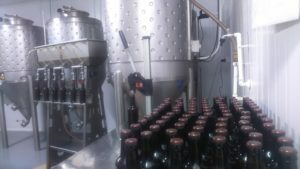 Maturation and storage chamber: beer is left to mature in this space for a minimum of 2 weeks, and stored at low temperature, set at 5°C throughout the year.